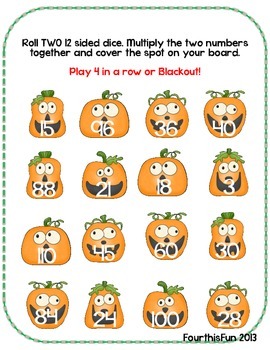 This set includes 8 different colorful cards with fun pumpkin faces and products of factors 1-12. 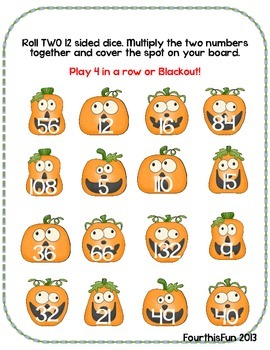 We use 12 sided dice in dice, or 2 12 sided dice for this game. There is also a free recording sheet in my store if you want to bring in an accountability aspect. I also like to print these using the 2 to a page feature. 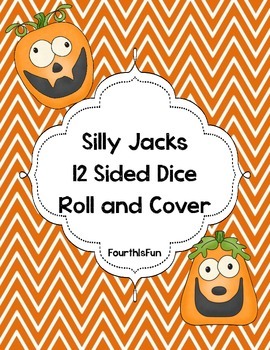 Look for other Roll and Cover games in my store.